240° C Tandoor Heater Tandoor Heater with a maximum attainable temperature of 240° C ensures you can prepare your favourite Tandoori delicacies faster with crunchier & juicier results. 150 Auto Cook Menus Choose from a wide variety of Indian menus to prepare various exotic Indian dishes at the comfort of your home. Tandoori Roti/Naan Tandoori roti, naans and paranthas now made faster and crunchier. Better Moisture Retention With its powerful Tandoor heater, Magicook 25L Elite ensures better moisture retention, thus enabling the dishes to be juicy & tender on the inside. Baking Menu With the preset baking menus, now prepare your favourite baking delicacies at your convenience. 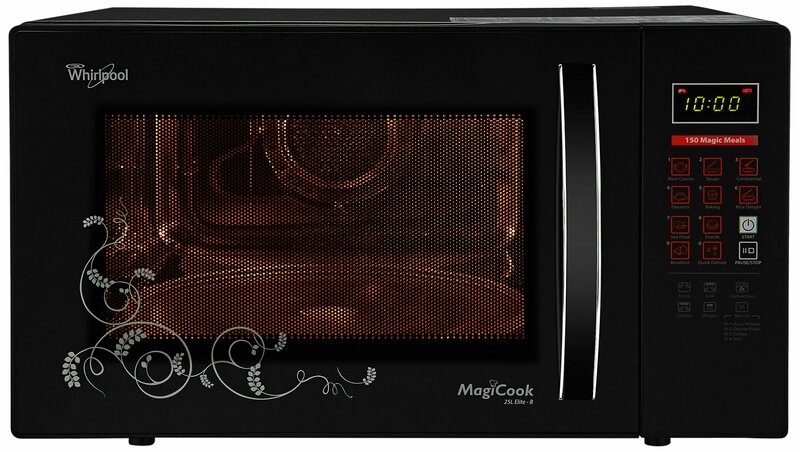 Magic Menus Pre-programmed menus for instant meals at the touch of a button. 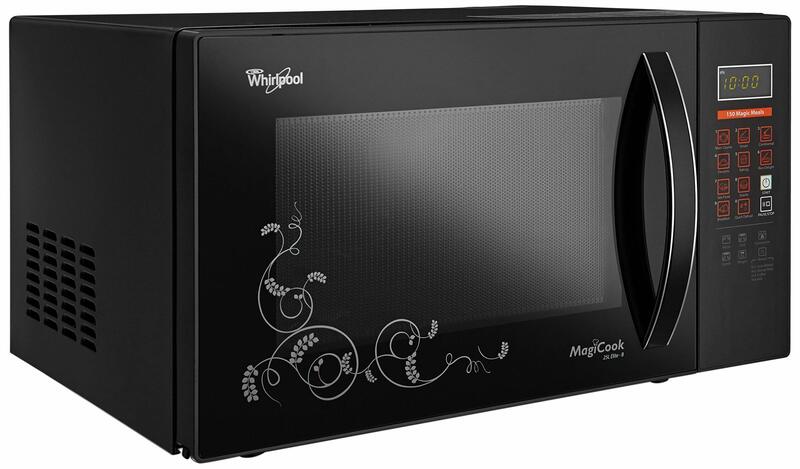 Multi Stage Cooking Whirlpool Magicook microwave oven gives you the flexibility to cook at different power settings and stages of the cooking cycle. 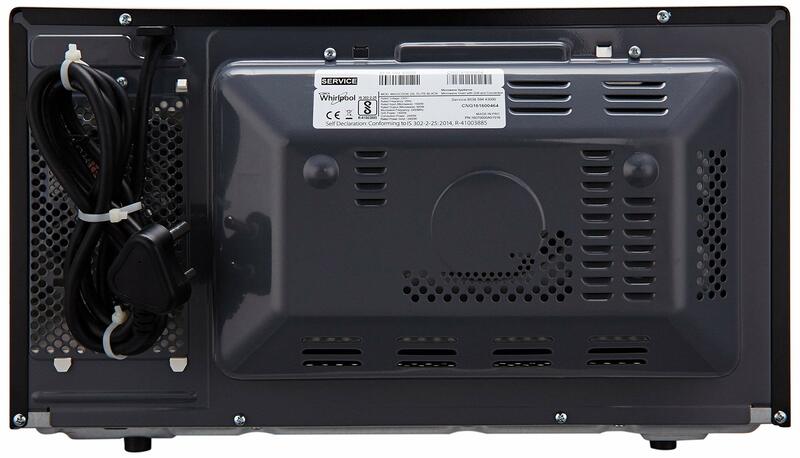 Now you do not have to go through the hassle of monitoring the power levels at different time intervals. 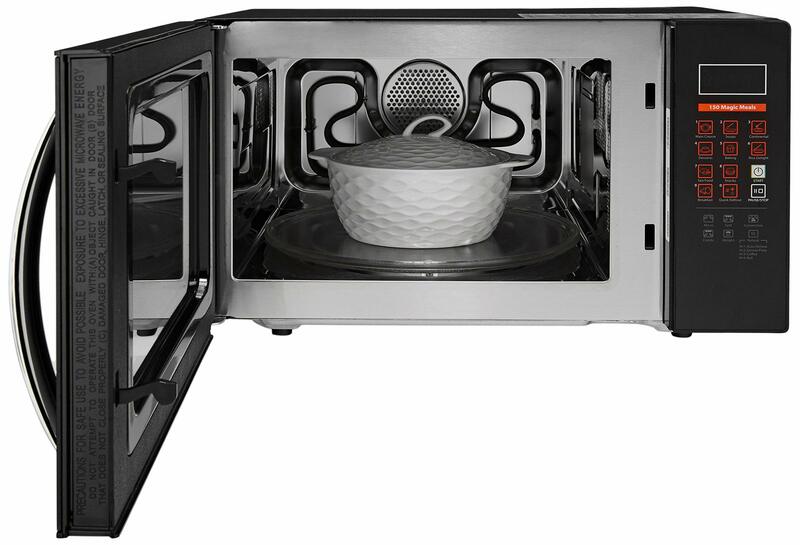 315 mm Turntable With a large 315 mm turntable, now you can cook larger quantity of food items or reheat multiple food pots with ease in one go. 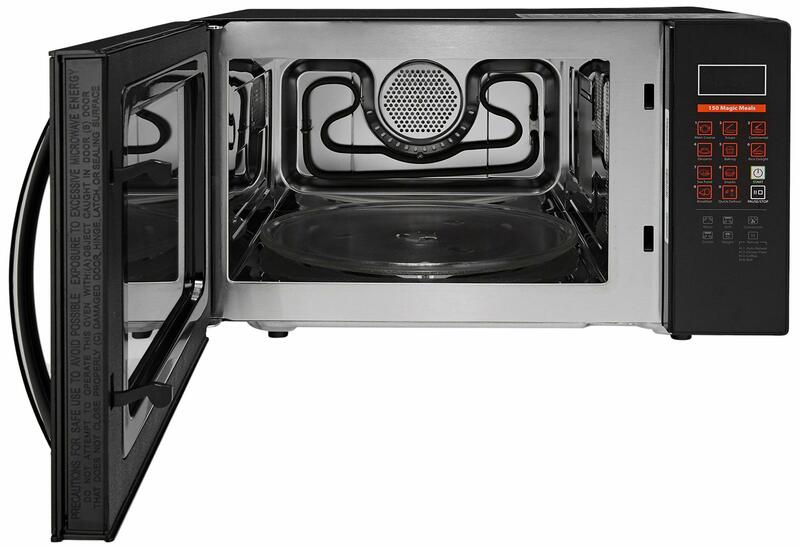 Combi Cooking You can now choose different combi cooking modes to cook your favourite dishes. 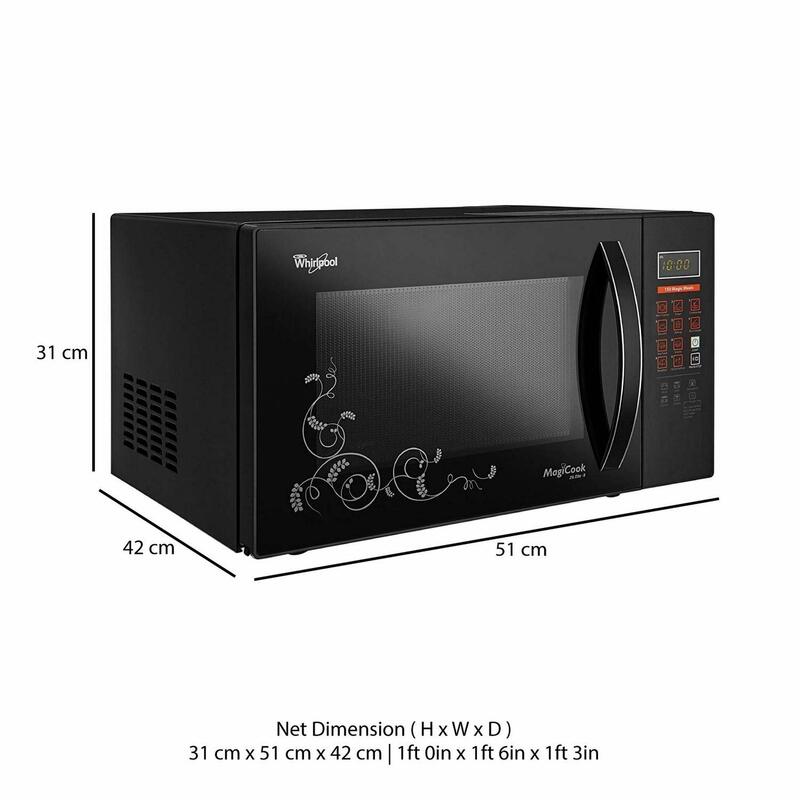 You can choose microwave and convection mode, microwave and grill mode, grill and convection mode to cook the dish of your choice. 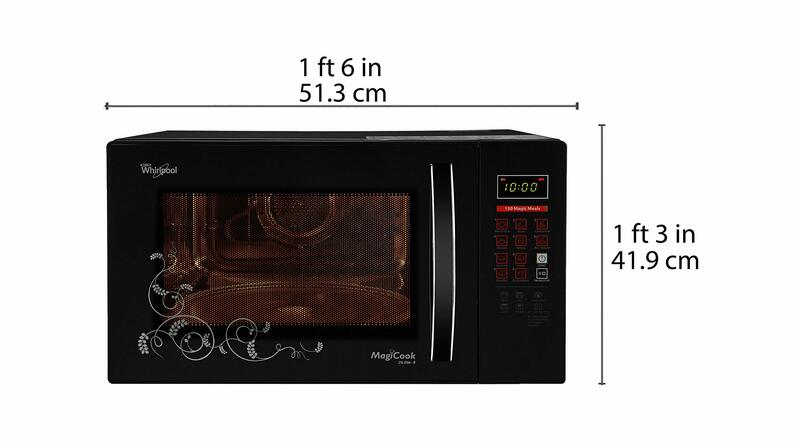 2 Year Warranty on Magnetron Whirlpool microwave ovens are dedicated to providing reliability and durability with a 2 year warranty on Magnetron. 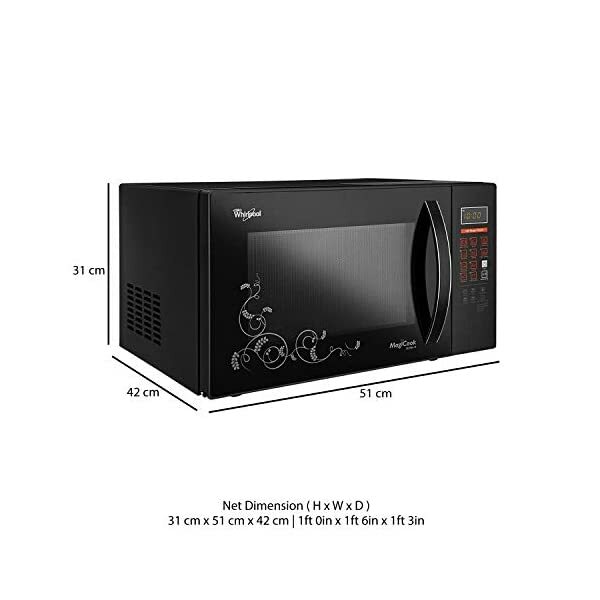 Whirlpool microwave ovens are dedicated to providing reliability and durability with a 2 year warranty on Magnetron.